Cold Cell Vertical Lifts create Freezers. Now you can move a Freezer without construction budget restrictions. Saving tons of space and keep everything safe and controlled. Lean Lift Vertical Lift Modules are both storage efficiency and goods protection in one: at the center of the ‘cabinet’ is a computerized lift – called the extractor. In front and behind it are the storage shelves. This is where the articles are stored in containers. 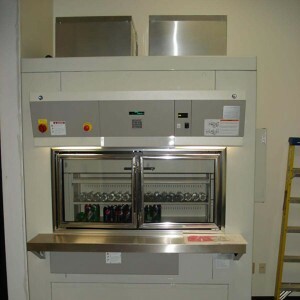 The storage locations are accessed through electronic control by the extractor. It stores or retrieves the container requested. The system is operated comfortably at the optimum ergonomic height at the retrieval zone. All Vital Valt Storage Systems products are available on the GSA Federal Supply Schedule. Please fill out our feedback form for more information. With a Lean Lift, we offer a high quality, high-tech warehouse organization system with readily available materials which reduces work time, warehouse space and cost which provides a problem free work environment. The Lean-Lift utilizes the available ceiling height – similar to a high bay/mini-load system. In contrast to a high bay/mini-load system, however, the Lean-Lift stores the parts on a height optimized basis avoiding wasted space. This means maximum storage capacity on a minimal footprint. 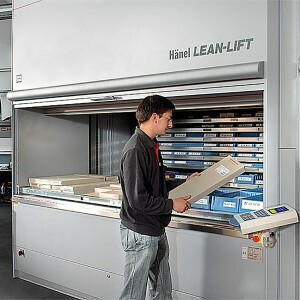 The fully automated Lean-Lift brings the required articles to the retrieval zone in seconds. The state of the art microprocessor control systems can communicate with your host computer on a real time basis installation or be used as a standalone warehouse management system. An overview of the inventory status is available at all times, shortages of parts are eliminated and the inventory can be reduced. 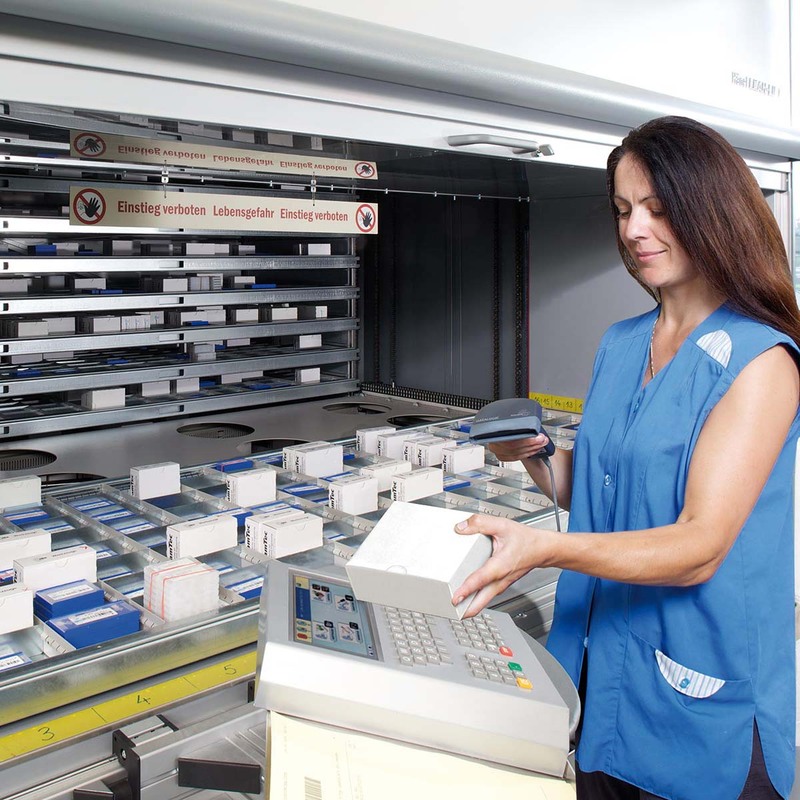 Use of the Lean-Lift ensures a constant overview of inventory status at all times. The vertical transporter (extractor) has a 4-point suspension system. The extractor does not tilt. No problem with load imbalance, not even with heavy loads. Easy maintenance from the side. Roller chains are durable, no fatigue failures occur. No replacement necessary after fixed maintenance intervals. Roller chains have a higher rate of efficiency (98%). More accurate positioning because of higher rigidity. Non-slip hold in the event of emergency stops. Fast storage and retrieval times. Storage and handling of bulky, and heavy parts, or dissimilar sized parts. Load carrying capacity per container up to 2,208 lbs. Load carrying capacity per Lean Lift up to 132,450 lbs. Material to operator, not operator to material: this saves time. High efficiency and cost savings. Lean-Lifts with a container load capacity of up to 1,104 lbs, now in a high speed version. (Vertical speed with loaded extractor, 1 m/sec). Horizontal speed jolt-free at 0.5 m/sec. 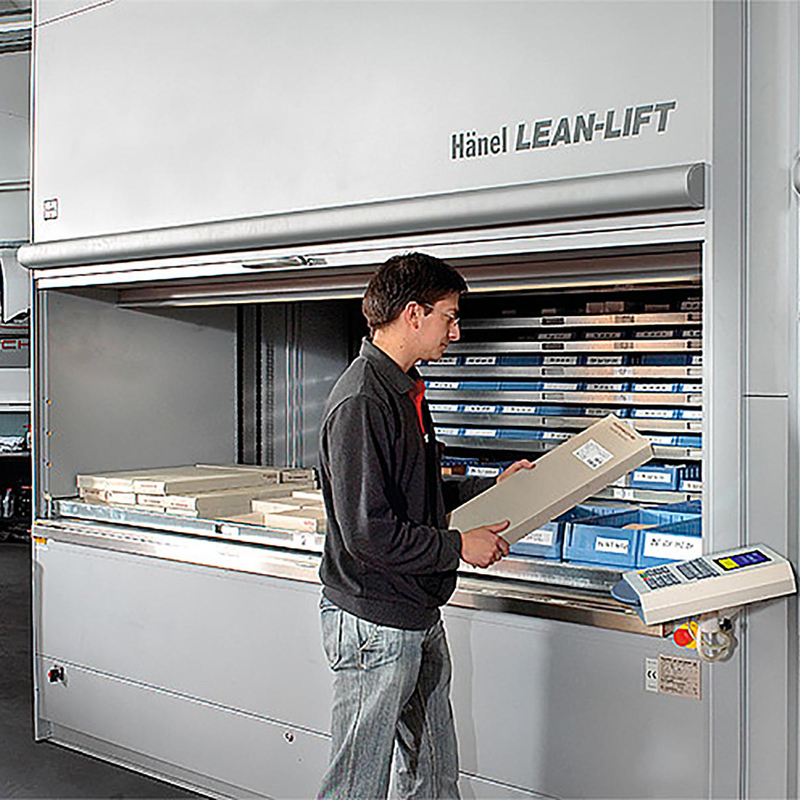 Each Hanel Lean-Lift is also fitted with a soft-start control with frequency converter. The advantage: optimum acceleration and deceleration. Retrieval points can be installed on more than one floor, depending on the height of the Lean Lift. 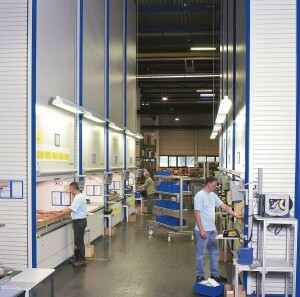 Several users can operate the Lean Lift at the same time from different positions and levels. The wide range of accessories, such as tool inserts, small parts trays, cutting tool holders and dividers contribute to making the Lean Lift into a complete logistics systems that cuts costs, makes optimum use of space, eases workload and minimizes allocation times. The variable control keyboard of the Lean Lift is positioned at the side of the access opening for ergonomic convenience. High performance compact control unit with numerous functions. Control and inventory management in one unit. The article number, storage location, quantity, minimum inventory and storage location size can be programmed. Job management and parts list management are also integrated. Four serial RS 232 interfaces enable a computer, printer and other peripheral devices to be connected. 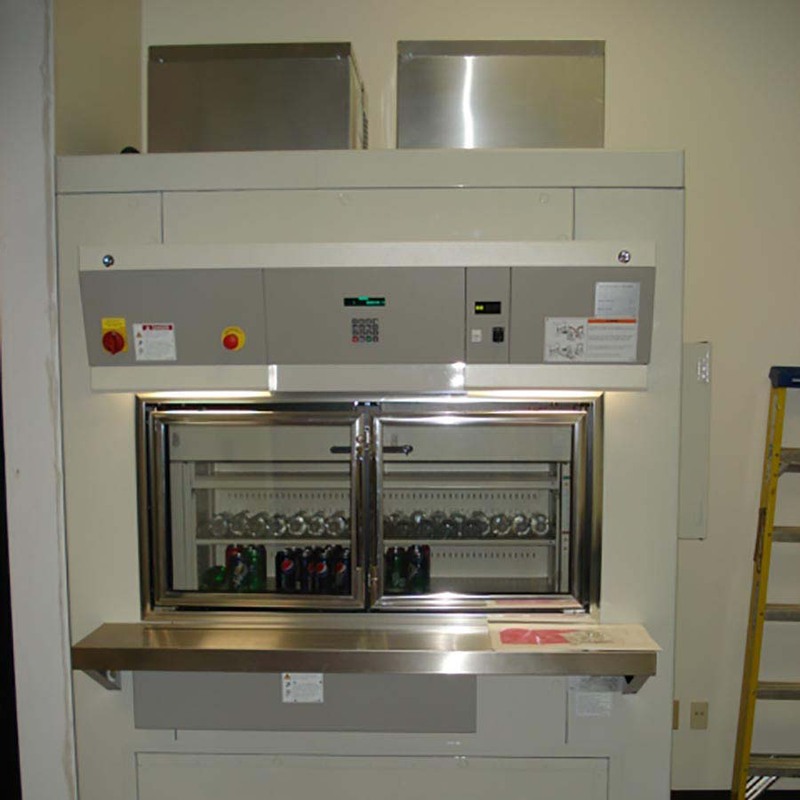 Up to 99 Lean Lifts can be controlled simultaneously with the MP 100 D.
Hardware and software can be integrated in the Lean Lift, so no additional PC required. No complicated software installation on PC. Direct hook-up to corporate network via ethernet. MP 100 D data can be viewed by browser – ensuring constant transparency in the storeroom. Automatic processing of jobs according to priority.